Historic Home Bridal Inspiration. There’s something so romantic about an historic house out in the country and this styled bridal shoot is full of wedding inspiration. From its whitewashed ambiance to the antique furniture, a beautiful bride enjoys the resplendent springtime comforts at this enviable home. 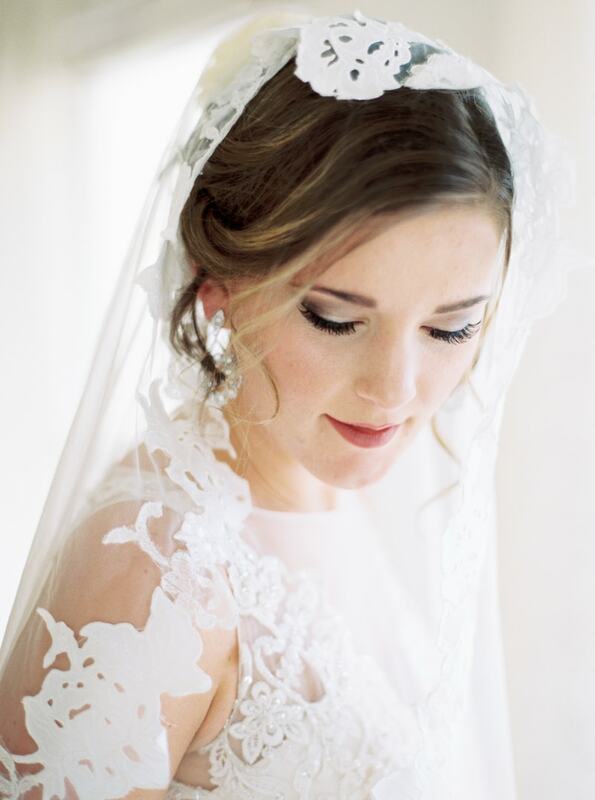 With the natural light streaming in on her face, the bride is draped in the tulle and lace fabric of her long veil. It softly masks the stunning lace and tulle gown she dons underneath. Her makeup is classic and elegant with a dramatic eye and rosy lips. Soft tendrils and statement earrings frame her face. When she removes her veil, a beautiful flower accessory highlights her chic updo. And the stunning sheer lace beaded back of her gown is on full display, too. The photographer captures black and white photos that are as timeless as they are emotional. 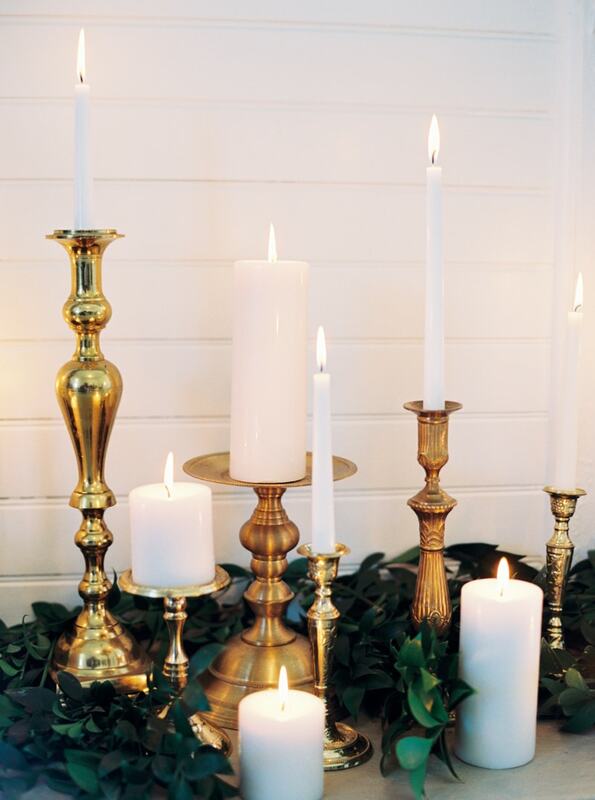 The home’s fireplace is warmed up with a collection of white taper and pillar candles displayed on antique gold candleholders. 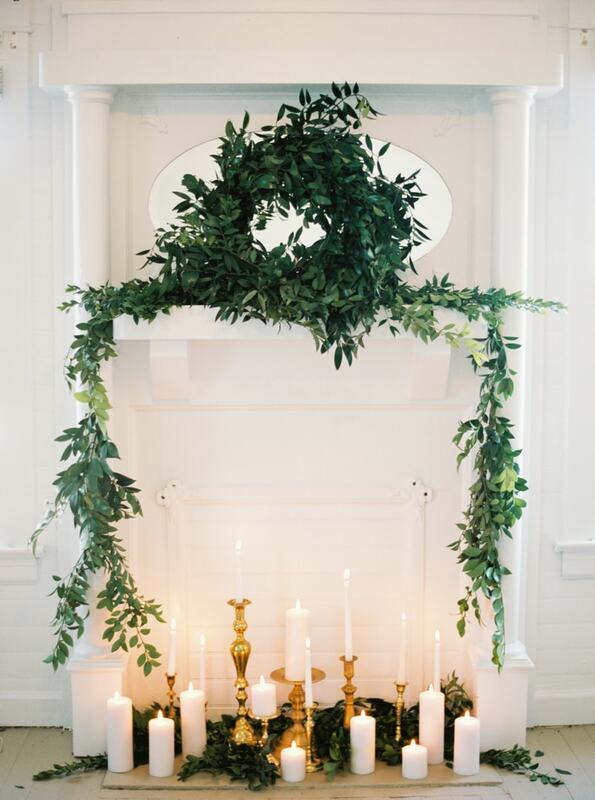 On the mantle is a lush wreath of greenery that cascades down each side. The touches of antiquity continue in a sitting area, where the bride’s veil is casually draped across a vintage sofa. 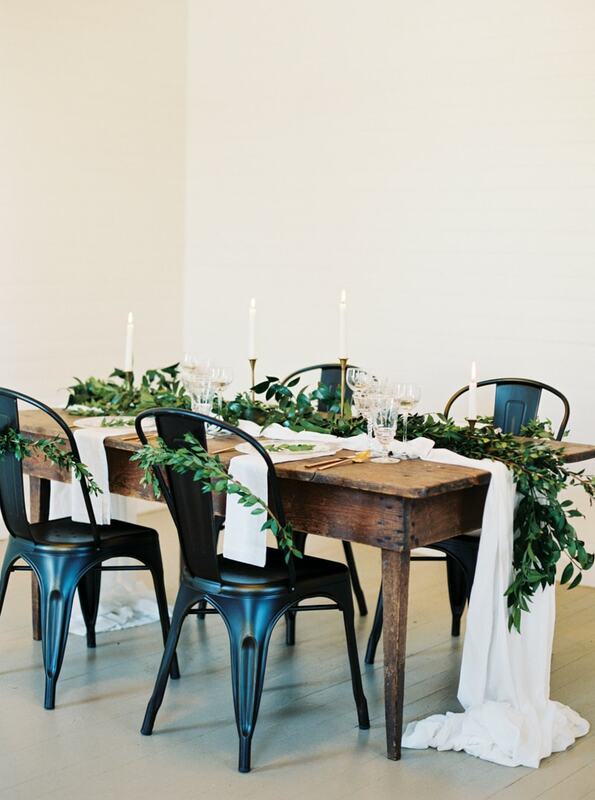 A small celebratory table is curated with a natural wooden table and industrial black chairs for a hint of modern appeal. A white table runner highlights the center, along with ample greenery and taper candles. 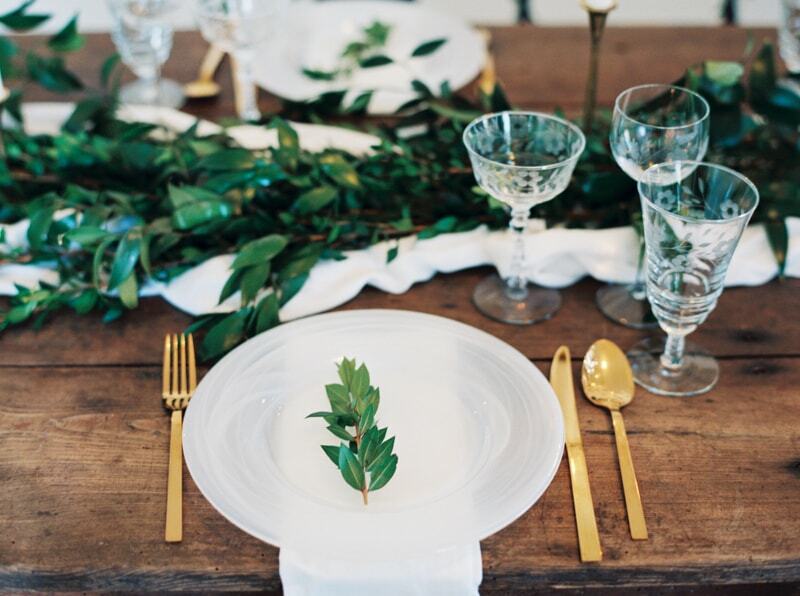 Place settings are perfect in their simplicity, executed with white china, white napkins, simple sprigs and gold flatware. The cake is a conversation piece, indeed, as it rests in front of a grand gold mirror. The casually-frosted buttercream creation is embellished with the same greenery seen throughout the house. The bride ventures outside to enjoy the brisk spring weather from the immaculate wraparound porch. And she does so by clutching a totally unique all-green bouquet! This inspirational and romantic historic home bridal shoot brings the outside in with its ample greenery and abundant light. That's the trick with historic homes - just a few simple additions can make any space seem new again.